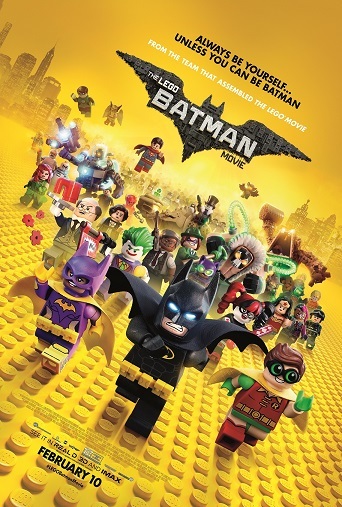 The LEGO Batman Movie opens on Friday, February 10, but we at The Reel Place are excited to offer you the chance to see it for free on Saturday, February 4 in Salt Lake City. 1. As soon as humanly possible, send an email to luke@thereelplace.com with “LEGO Batman” in the subject line and your first and last names in the body of the email. Simple enough, right? 3. Check your email soon to see if you won. We will notify you either way, so please be patient with us because there are a lot of individual emails to go through and unique codes to track and distribute. These passes admin four, but as always, having a pass does not guarantee admission into the screening. Be sure to arrive extra early to exchange your passes for assigned seating tickets. Thanks for participating in the screening giveaway for The LEGO Batman Movie. We wish you the best of luck and look forward to seeing as many of you as possible at the screening.